QR or Quick Response codes are simple ways to direct students to particular webpages, they can be added to worksheets, stickers, posters or any convenient way of showing the code to others, they can also be scanned from a monitor or when projected on a screen. 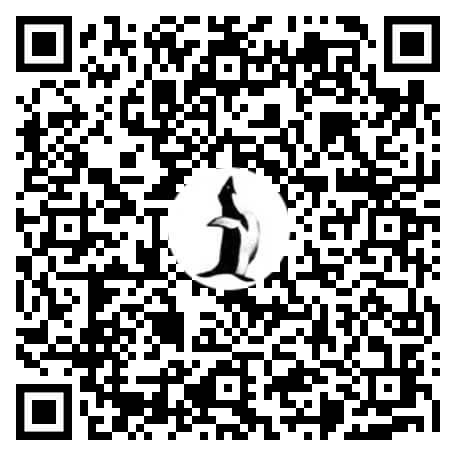 To use a QR code you need a reader app on a smart phone or tablet, you then scan the code with the built in camera and then with another click you are taken to the webpage. QR code reader apps are readily available for free, do an online search and you'll find one for your device. The QR codes on this site can be copied and pasted and then used as a file to add to any document you care to add them to avoiding all that typing of a long url and delays while students start to go off piste whether intentionally or deliberately. I use this code generator for the codes I use on this site, I set the size at 350 x 350 pixels and add the little penguin logo to the middle of the code. Here's some more ideas oh how you can use these codes in your classroom..